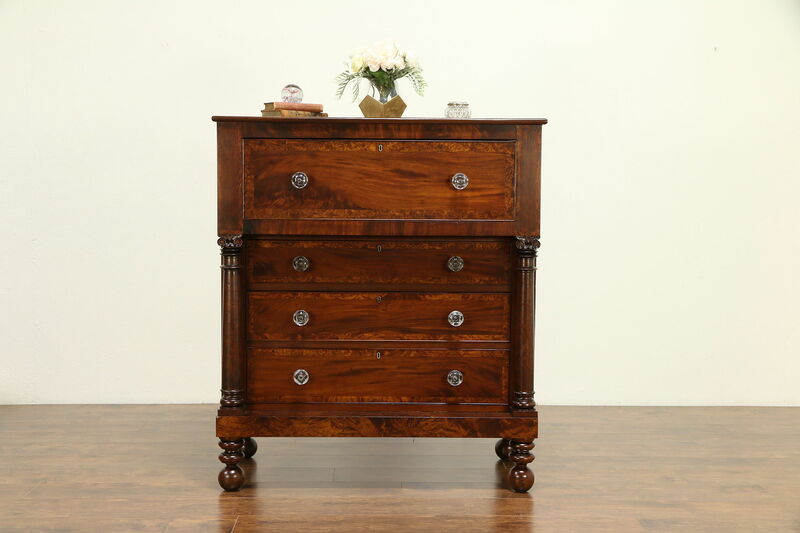 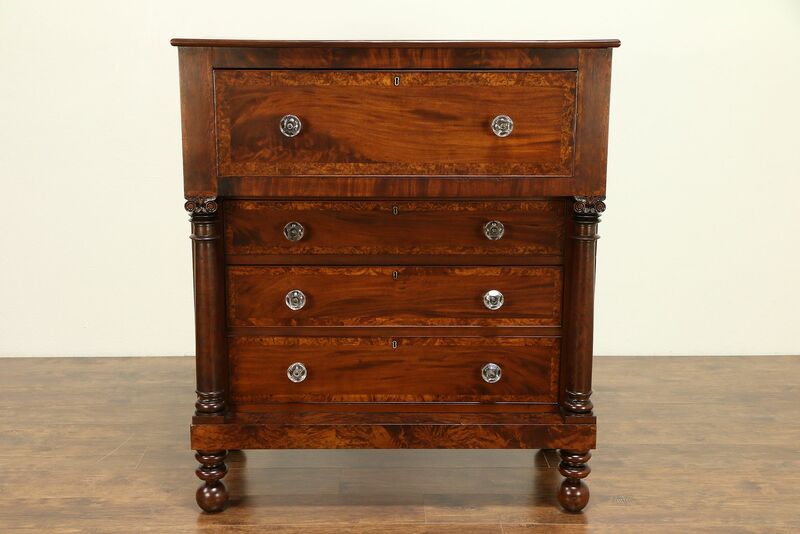 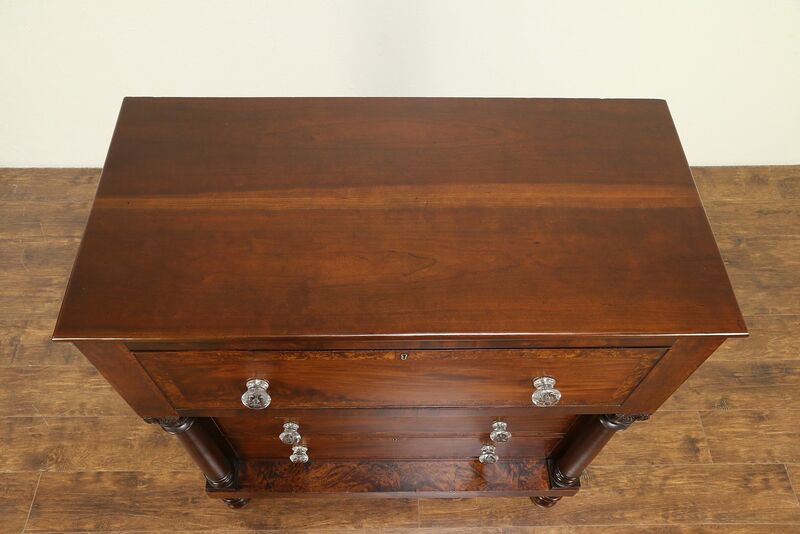 A wonderful Empire chest or dresser was hand made about 1830 of solid cherry with curly "birdseye" maple and matched flame grain mahogany panels. 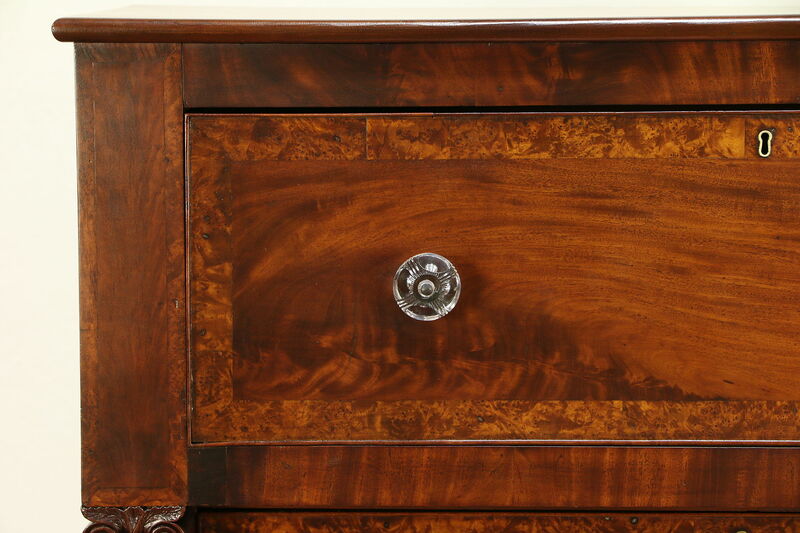 There is golden "sapwood" in the center of the top. 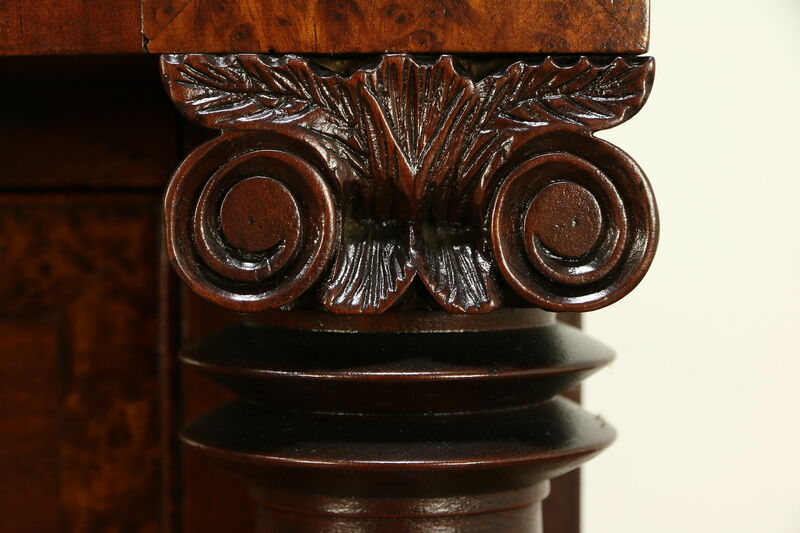 Round columns have hand carved Ionic capitals. 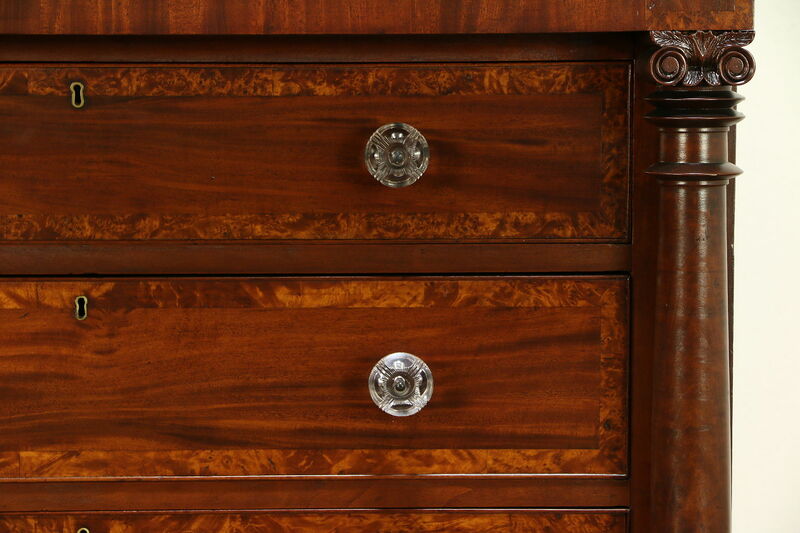 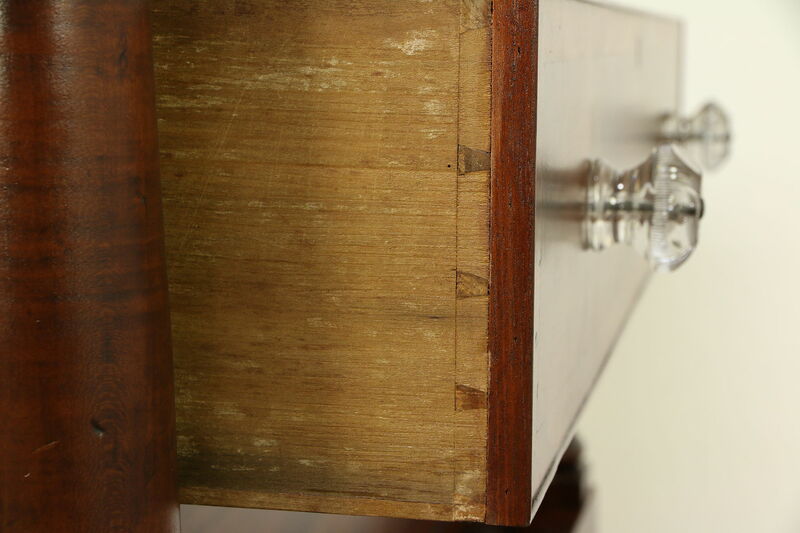 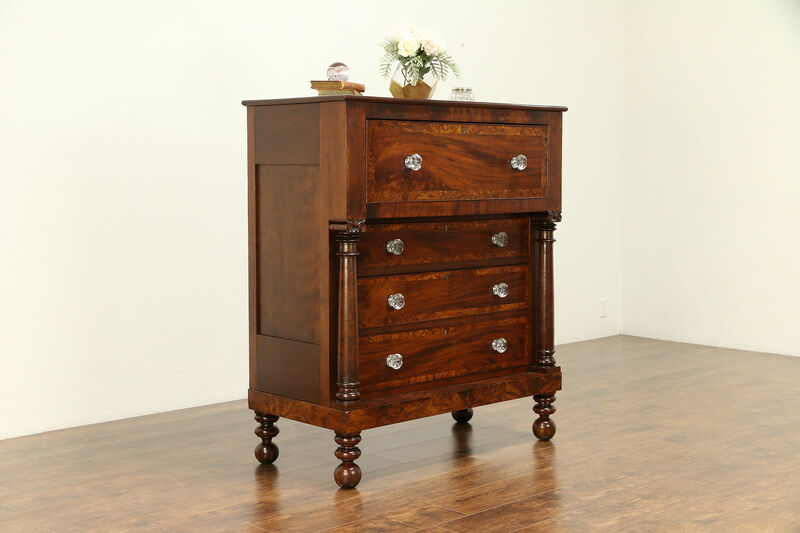 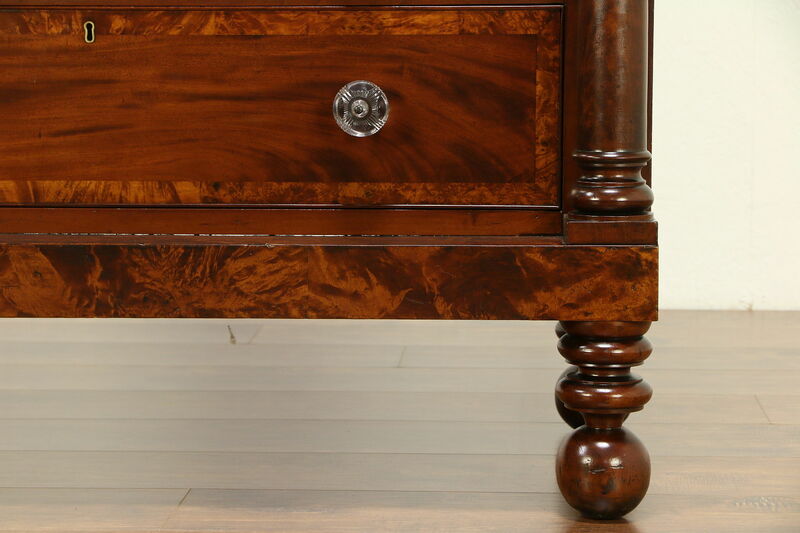 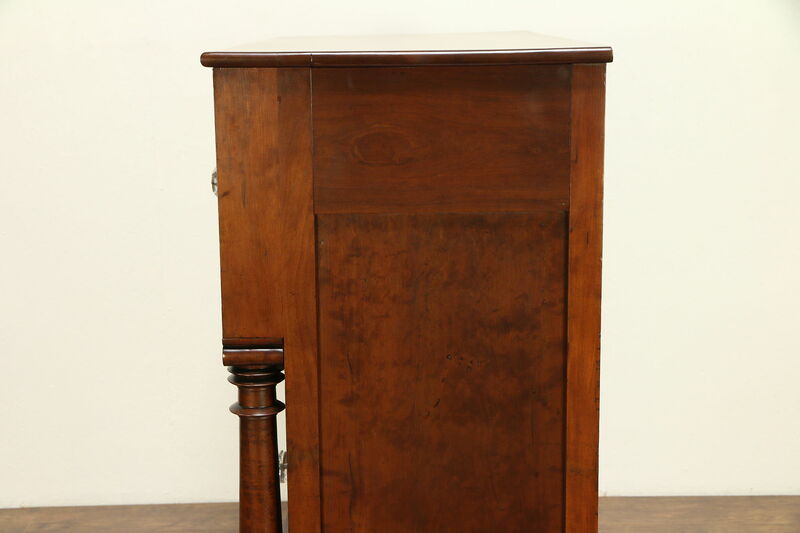 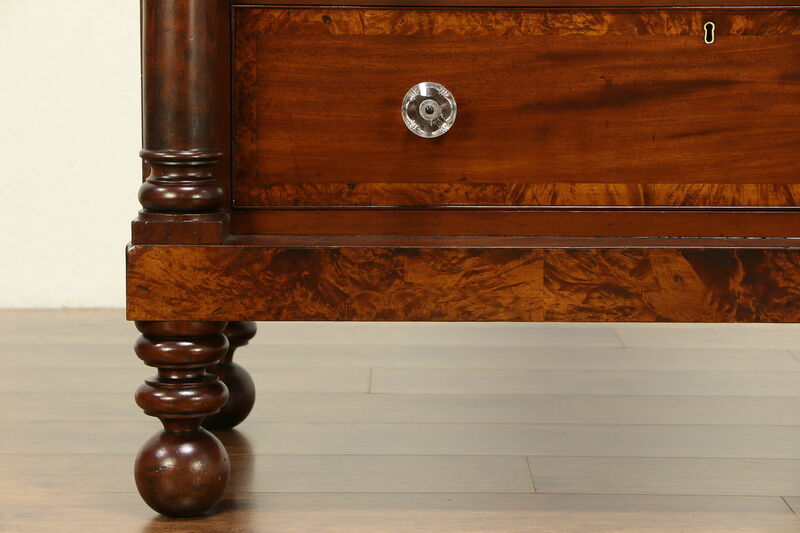 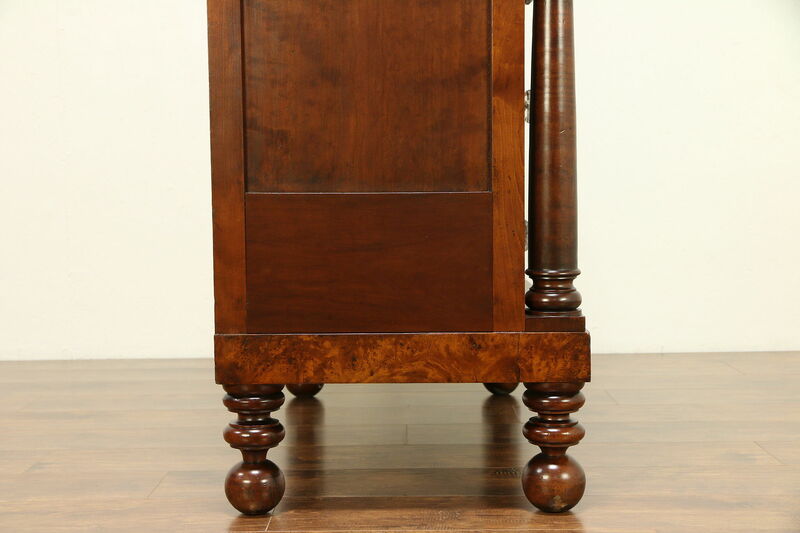 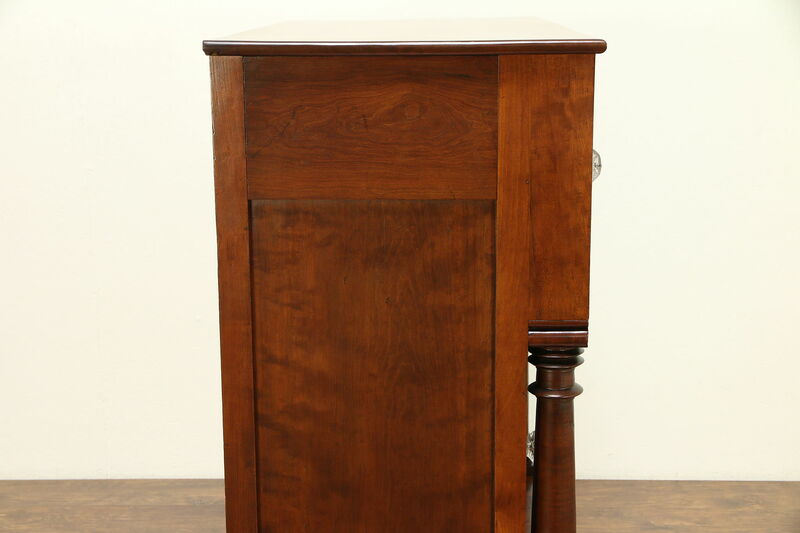 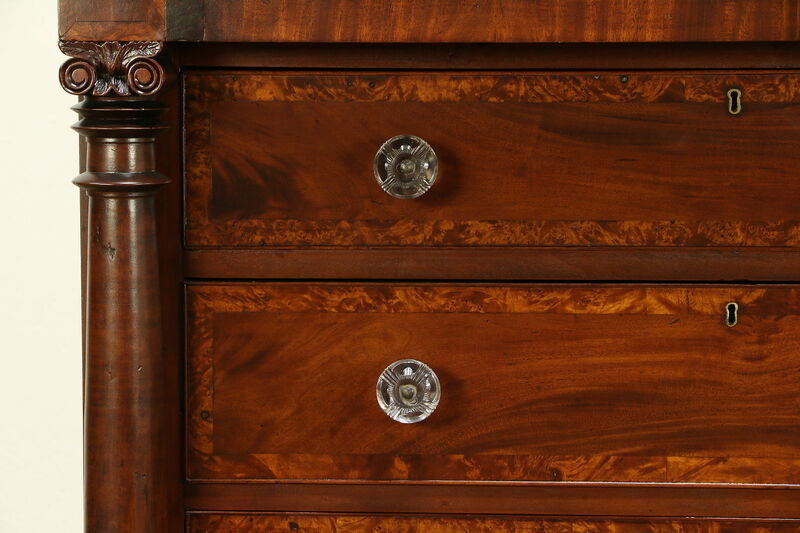 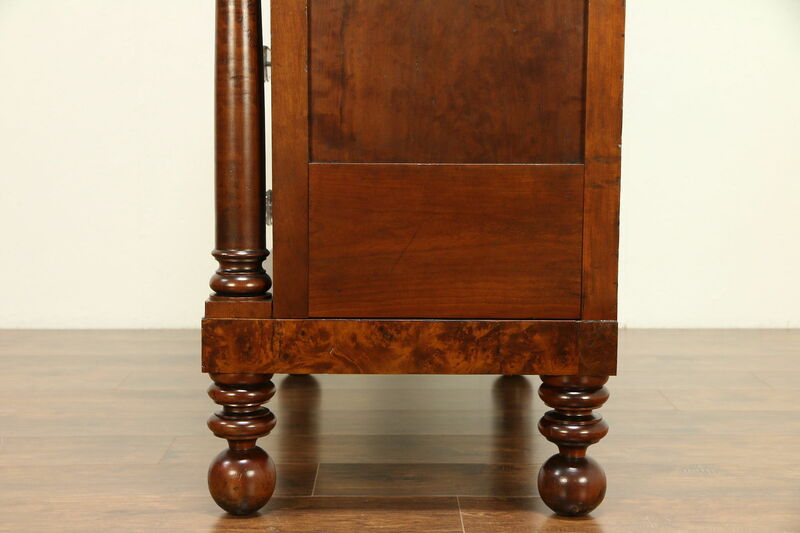 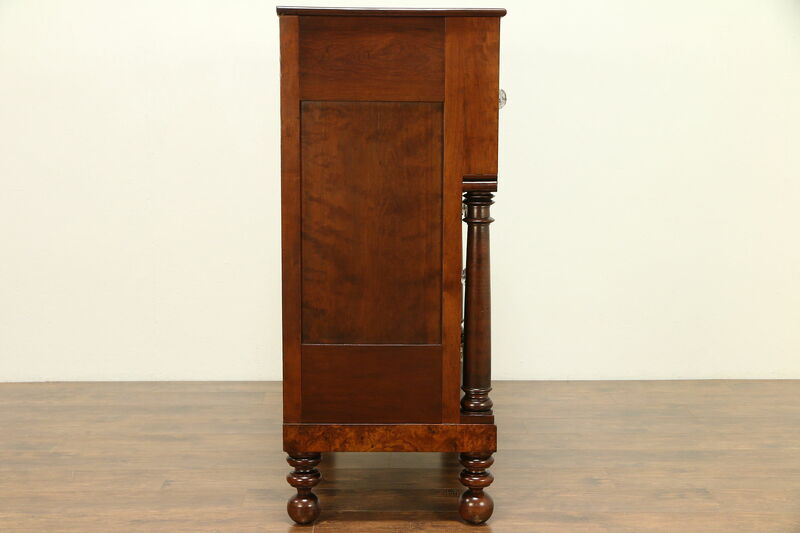 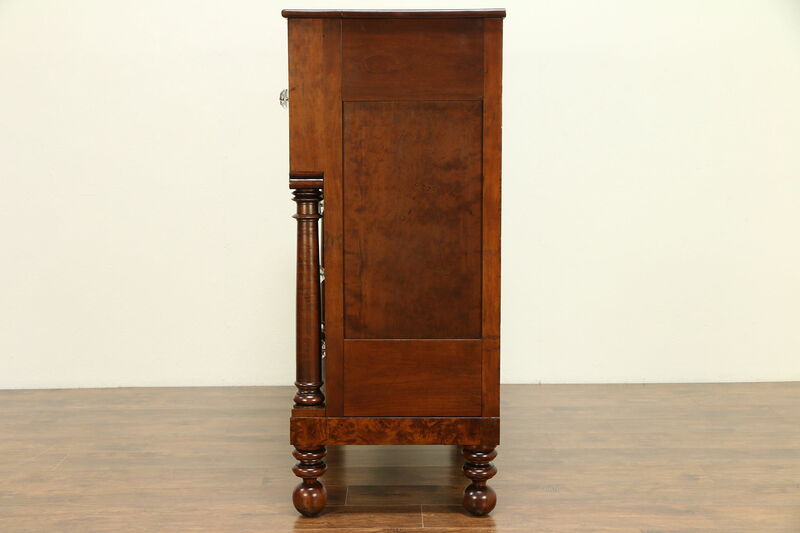 The restored satiny finish is in excellent condition on this American made antique furniture from Pennsylvania. 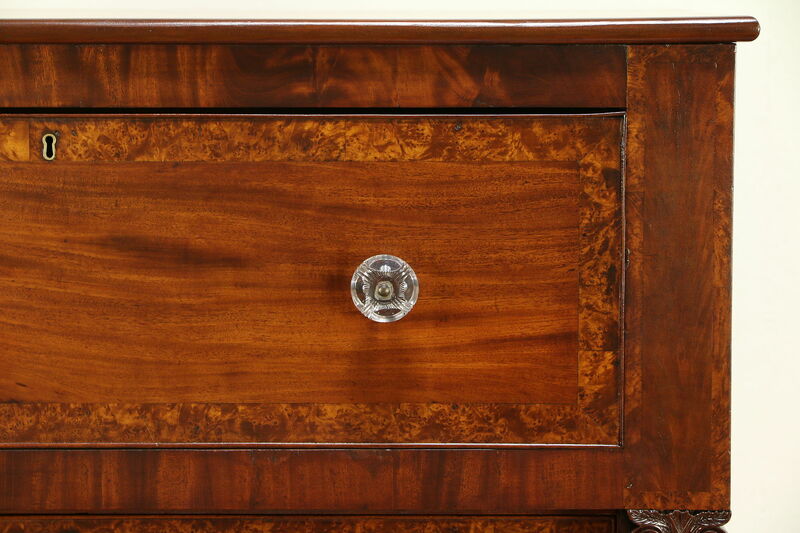 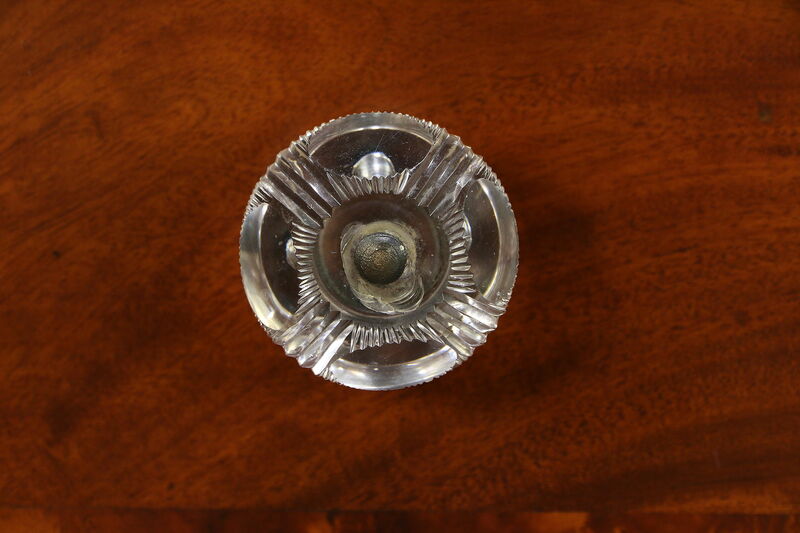 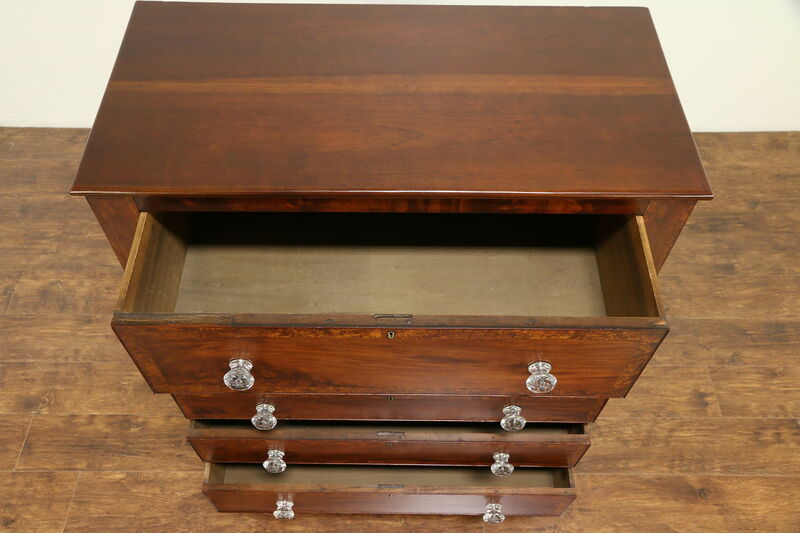 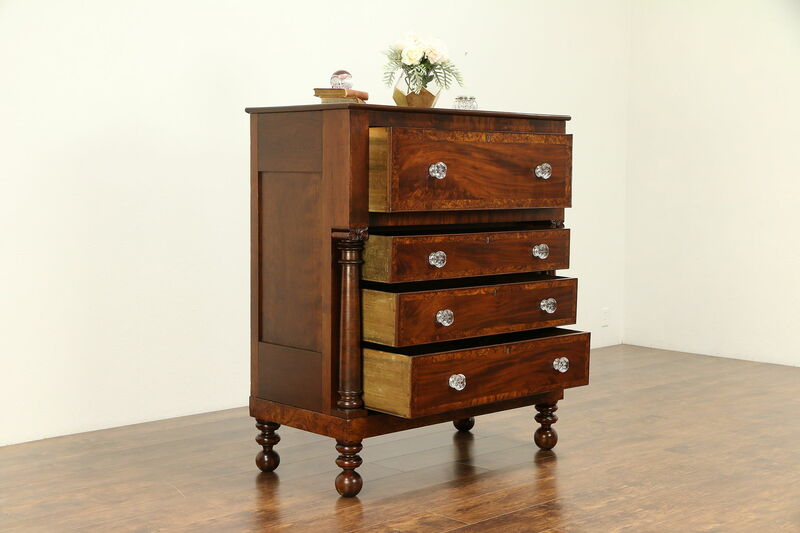 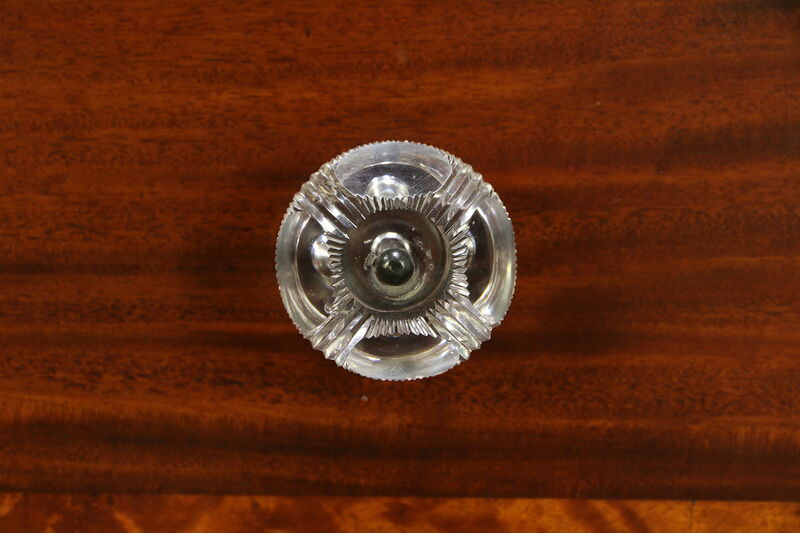 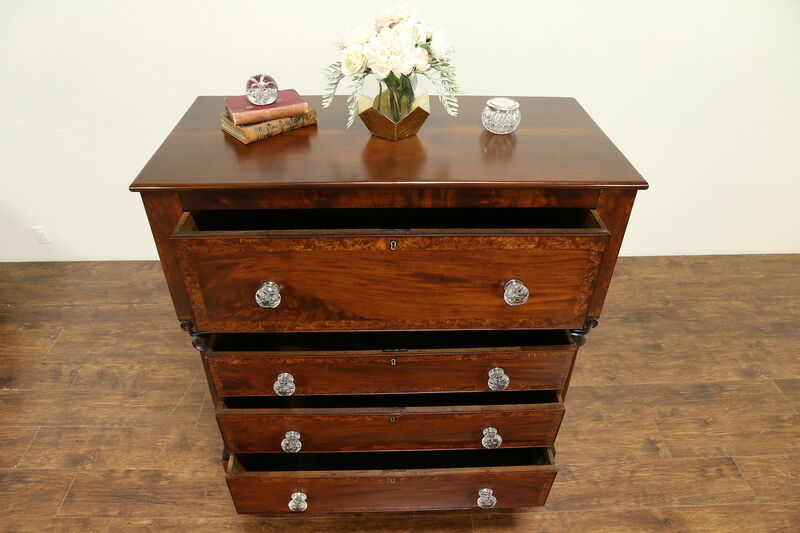 Large drawers have original hand cut glass pulls, hand cut dovetail joints and chamfered bottoms. 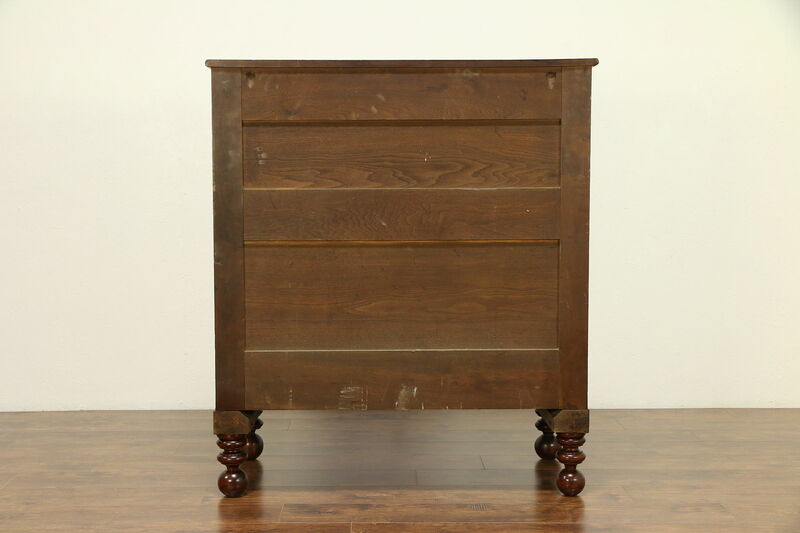 Size is 45" wide, 22" deep and 51 1/2" tall.